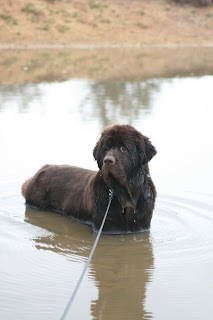 The focus of this picture (if you excuse the pun!) is Martha and to get good exposure of her, and to retain her facial detail etc, it meant over-exposing the background. I'm more than willing to use photoshop to enhance my pictures, but sometimes I don't have the time or inclination to use levels, curves etc. etc. to get a great result... however the good news is that Photoshop Elements has a few clever little tricks up it's sleeves. 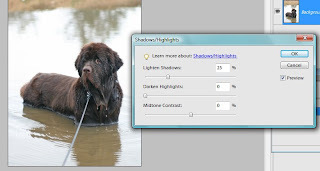 I'm going to show you how to use the Shadows and Highlights tool to get a uber-fast quick fix. The defaults in the tool however are shockingly bad! They give a wholy unnatural look so you'll have to use those scary sliders! So first i've done a small crop just to make the composition a bit more pleasing to my eye. As I said the default that the tool suggests is ghastly! I don't want any lightening of the darker regions... 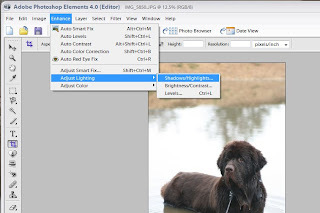 I've already exposed correctly for these thanks very much Mr Adobe! It's the highlights we want to tame a tad! 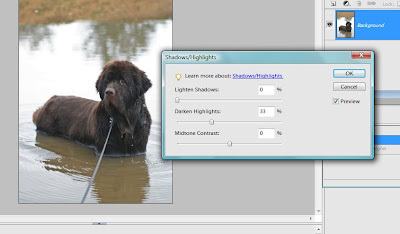 So instead move the 'Lighten Shadows' slider back over to the left to 0%, then move the 'Darken Highlights' slider to the right.. you'll need to use your judgement on this one... but don't go crazy or you'll get an unnatural look. I've gone to 33% on this one. And that's it... a subtle but effective tweak in a couple of minutes! This tool won't extract detail from totally blown out areas, but it can pull some warmth and detail from some overexposed bits! Hope this might be useful to someone! 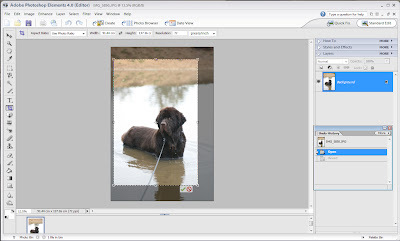 thanks Katy - you make photoshop look easy, so I might give it a try now. 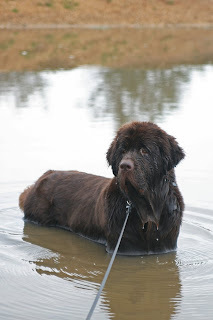 Have emailed you a newfie pic, hope you like it. And can I maybe get an invite to your other blog please?